The handsome hubby travels for work and he definitely doesn't keep "regular" business hours. Holidays, weekends, birthdays... they're all fair game. We've been incredibly fortunate in the six years that we've been married. We've gotten to share Christmas together every year. But our streak is ending. This year, we'll be in different time zones when Santa comes to town. So, I've been filling my DVR with plenty of Christmas movies to keep me company until my honey comes back. On the 3rd day of Christmas I put my DVR to work! 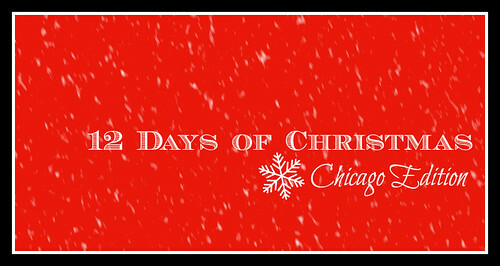 While browsing ABC Family's countdown to 25 Days of Christmas I noticed 3 Holiday films that have a Chicago connection! Though it's a quintessentially New York film, it turns out several scenes in the 1994 version of Miracle on 34th Street were shot in Chicago. At first I didn't understand why until I realized that John Hughes has both a screenwriting and producer credit on the film. Another John Hughes masterpiece, Home Alone is undoubtedly a Chicago Christmas movie. The McAllister house is real and it's in Winnetka. (No clue where that is... but a field trip is planned.) Also, the airport scenes, even the Paris ones, were shot at O'Hare. Though most of this movie was filmed in California, it's no secret the Griswold's call Chicago home. Plus there were scenes shot at (then) Marshall Field's and the Hancock Building. That works for a Chicago connection, right? Of course I'll be watching plenty of other Christmas classics this season. But I'll have my eyes peeled during these three hoping to catch a glimpse of "my kind of town."